A decision to pursue a career in the performing arts is a lifelong and complex undertaking. Musicians begin instrument lessons in early childhood, when the ego and talent are developing simultaneously. During these young vulnerable years and at any age, music teachers and schools can inhibit their creativity, musical and personal growth by emphasizing various attitudes and beliefs: e.g., overemphasis on developing flawless technique and winning competitions leading to prestigious performance careers, denial of the psychological implications of playing-related injury; ignoring mental health concerns, or failure to promote other professional outlets in music as well as blending music with professions (which negates the purported belief of training future professionals that one can make a good living through music). Yet a number of musicians’ career plans become altered or aborted altogether. I am advocating for the establishment of psychological and physical interdisciplinary programs and courses in the curriculum as important aspects of healthy music programs as well as career services programs to assist students with both performance and non-performance careers. The choice of a profession is one of the most important decisions we make in a lifetime. How do musicians (and others) make this choice? What are some underlying motivations? What are the issues that must be faced when careers go well or when careers flounder? Who is there to help the emerging musician? And, importantly,how does one help most effectively? Whether one remains in a career in music, combines music with another discipline, or leaves the profession altogether, the process is a long excursion with many possible crossroads, bumps, detours, and ramifications. Unlike other highly trained and skilled professionals such as doctors and lawyers, who can decide on occupational goals later in life, the musician must begin training in childhood. The psychological study of lifespan development underscores how musical growth occurs side by side with physical and psychological development; this parallel/interactive process cannot be separated, underestimated, or overemphasized. Talent and technical skill on an instrument develop alongside ego development and physical and social maturation. By the time a serious career in music is pursued, many factors have coalesced in ways that can be adaptive and/or mal- adaptive and may be potentially confusing. In the process, the instrument teacher becomes a central figure representing both a parent-substitute and a professional model. Early interactions with family and peers who have formed the original building blocks of intrapsychic and interpersonal relationships become projected upon teachers and audiences, who have the perceived and real capacity to love or leave the performer. Feeling—or actually – being left, misunderstood, and/or rejected by an audience, teacher, or competition judge all evoke basic anxiety fears and pose significant difficulties in developing positive self-esteem, self-confidence, and pleasure in music making. Feelings, fantasies, and memories about early relationships linger and find their counterpart projected onto significant others, teachers, audiences, administrators, and institutions and can ignite any number of career- related issues. Thus, the vulnerability of the young child who begins an instrument and travels a path toward professional training must be recognized as an important factor in the ways music teachers and institutions interact with their students. The importance of expressing one’s entire self through playing an instrument in combination with how one is taught and guided carries tremendous lifelong import regarding personal and professional development. When I was a piano teacher, long before I became a psychotherapist, I realized that I was also in the field of mental health. Like a therapist or good parent, I attempted to listen carefully to the verbal and nonverbal communication of my students (as I do now with my patients) and tried to assist them to find ways to appreciate themselves as well as help guide their fingers to the notes in the score. My relationship with each student (and now with each of my patients) was different, but the common denominator was my belief in the individual’s dignity, personal growth, and fulfillment. It is important for teachers to tune in and become sensitive to some of the dynamics of emotional development as well as the dynamics in the musical score. For emphasis, I am going to borrow from the model of an esteemed psychoanalyst, Otto Kernberg, MD, who in 1996 wrote a satirical but very serious article, “Thirty Methods to Destroy the Creativity of Psychoanalytic Candidates.”1 By emphasizing an opposite point of view, one can bring important issues into greater focus. A negative ” slant” raises awareness about fostering creativity in teaching (of all kinds). Following Dr. Kernberg’s format (and with apologies to those to whom these ideas do not apply), I will list a few ways that music teachers and music schools can inhibit the creativity, musical and personal growth, and careers of their students. You may chuckle (or fume) a bit when you read my list, but please reflect seriously upon your reactions. • Do not think of a career in music in the context of the whole person. 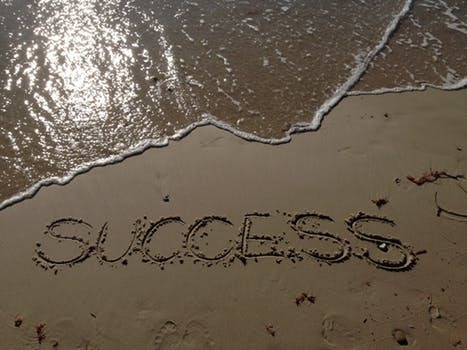 Insist on better technique, winning competitions, and earning awards to enhance the reputation of the teacher and the school. • Foster the attitude that self-worth is related to stellar performances (preferable note-perfect) and consistently productive practice sessions. • If a student sustains a playing-related injury, deemphasize or ignore the psychological implications of what it means to be ill or in pain. Do not refer for psychological help for fear of insulting the student and possibly having him or her leave your class. • Encourage hierarchies and favorites within and between studios and among students. • Discourage students from learning about the numerous professional outlets in music (and other professions) while emphasizing that a performance career is clearly the most prestigious. • Convince students that a Doctoral degree will lead to satisfying work and a high-paying university position. • Ignore networking, interpersonal, and communication skills that can be valuable in working with others. • Do not invest in an career services program that includes smart business strategies. • Do not form relationships with professionals in the community who can be referral resources or guests in classes. • Above all, if uncertain about something that may challenge entrenched pedagogical methods, remember that the objective of a music education should be to master, without questioning, established and revered knowledge. A decision to pursue a career in the performing arts is lifelong and complex. 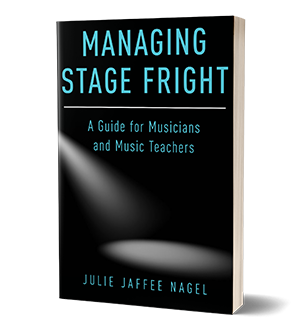 There are many important issues that students, parents, university faculty, private teachers, and administrators working together must consider in assisting musicians to bring their hard work and dreams to fulfillment and/or satisfying redirection. taught by interdisciplinary faculty and invited guests. There would be an active career center for music students and alumni. Outreach courses would find opportunities for student performances (including lecture/recitals), provide greater social involvement in the local and national community, and teach students how to become participants in political/social/business settings. Further, teachers and administrators would benefit from becoming increasingly sensitized to the enormous impact of their relationships both with their colleagues and with their students in private lessons and classes. It is important for faculty to recognize and take care of their own psychological and professional vulnerabilities and strengths so that they do not use students vicariously for their own ego enhancement and professional advancement. Faculty must be fully, and as non- defensively as possible, emotionally present for the individuals with whom they interact professionally. The teacher–student relationship is similar to the parental bond, as it offers models for healthy dependencies and separations from parents (maybe for the first time) into adulthood and greater maturity as careers are negotiated. Both teachers and therapists need to recognize the importance of their limits and boundaries. A therapist (even a musically trained one) should no more try to teach music to a patient in a session than a psychologically sensitive teacher should engage in therapy with a pupil in a lesson. Referral networks should be established. Recognizing when and knowing how to refer for professional counseling, therapy, and consultations with a mental health/medical professional when appropriate are important. While not advocating that every student or teacher should consult a therapist or physician, at times both the teacher and/or student could benefit from professional support. In particular, the negative stigma of seeking psychological help needs to be addressed candidly and replaced with the positive attitude that it is strength that promotes healthy self-care. Formal research into the specialized psychological and medical needs of musicians and music curricula are also important aspects of healthy music programs. Inroads toward these comprehensive goals have been made by some institutions. There is much more to be done. I prefer to think of this as training healthy people who are musicians. Teaching an instrument is obviously much more than playing the “right notes” or performing brilliantly and sensitively. While psychological heartiness and technical dexterity are necessary to navigate the challenges of the music profession, psychic income from the immeasurable gratification of playing virtuosically and perceptively does not pay bills or feed the ego for very long. Too often in the music profession the ego is buffeted around and develops maladaptive defenses, pain or illness occur, and career plans are altered or aborted altogether. A healthy profession will prepare healthy future emissaries to deal with their unique challenges and opportunities. Why hasn’t every music school instituted health educational programs ? While no one disagrees, in principle, with the ideas presented here, resistance occurs at many universities and colleges (or at least minimal support is offered) to formally instituting comprehensive health-related programs in the music curriculum. A frequent reason voiced for not doing so is the “budget.” Dollars and cents are always real concerns, but there is much more to the cost question. There is a higher price to be paid for shortchanging the psychological and physical health (and related, financial health) of music students. One’s identity becomes so enmeshed in playing an instrument that the fear of losing it “all” through probing non-music –related issues actually can inhibit professional and personal growth. Such feelings run deep in students, teachers, and administrators who may feel uncomfortable about discussing the complexities that have been offered here; that discomfort may be embedded in “rational” answers about “no budget”. Clinical experience and research findings regarding creativity, productivity, and psychological impediments puts these notions to rest. Knowledge about oneself and about what fosters or inhibits professional growth is empowering. It is time now for teachers, music schools, and universities to demand sufficient resources to invest in the health of their most valuable assets, their students, all of whom who have the potential to become physically and psychologically healthy cultural ambassadors of the future, or as noted by Joseph Polisi, the President of The Juilliard School, in his book title, “The Artist as Citizen”. 1-Kernberg O: Thirty methods to destroy the creativity of psychoanalytic candidates. Int J Psychoanal 1996; 77:1031-1040.